Today is the last day to vote for your favorite movie of the 10th Anniversary Filmed by Bike! Finally, you get to have your say. 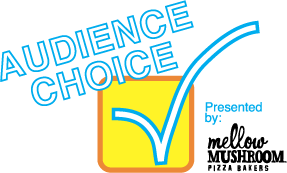 We’re giving a voice to the people with the new Audience Choice award, presented by Mellow Mushroom Portland. The winning filmmaker will receive $100 cash money courtesy of Mellow Mushroom Pizza Bakers.